There is a lot of focus on questions an interviewer will ask you, and the best way to answer them. What’s less discussed, and just as important, are the questions you ask the interviewer. Asking poignant questions during an interview could be what makes you stand out when there are many qualified candidates. 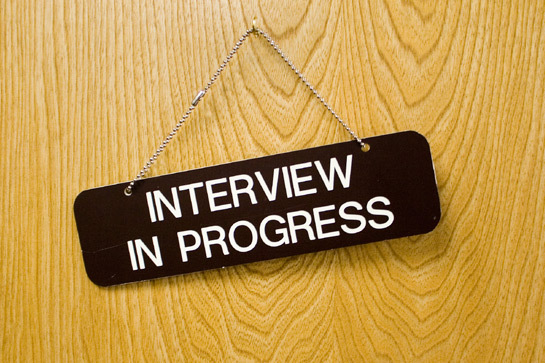 Consider these tips as you think of effective interview questions that make you memorable. Ask ‘outside the box’ questions about the company– It’s pretty standard to ask about dress code, company culture, and expectations, but you can really impress by asking topical and informed questions. Did the company recently have a stock jump? Were they in the news for any reason? Is there something that makes them unique? Demonstrating a sincere interest and knowledge of the current affairs of a company can leave a lasting impression. Highlight your focus on being the best fit for the job-It’s a given that if you have made it to an interview you are interested in the job. What can make you stand out is if you seem genuinely mindful of making sure your employment would be mutually beneficial. Questions like “What is the one thing I could do that would make your job easier?” and “If you could choose the top three qualities that would make a successful candidate, what would they be?” show that you really care about being a good fit, and not just about landing a job. Determine if they want to learn more about you-Often employers will leave the conclusion of the interview open ended to leave room for questions, but also to discover if you have a good grasp of your own interview skills. It is very telling to a potential employer if the person they interview is self aware and able to interpret the interview accurately. Asking questions such as “Was there anything I could have done differently?” or “Do you have any hesitations regarding me as a candidate based on what you’ve heard today?” will let the interviewer know that you are open to feedback, which is a great trait to possess, and something else that may make you stand out from the crowd. Interviewing can be both stressful and exhilarating, but having a solid set of questions going in can boost your confidence and give you the drive you need to succeed. Using these prompts is a good way to make a great impression and get your foot in the door. For more tips and interview help, please contact us. This entry was posted in Gradcast and tagged find job, Gradcast, Gradcast.com, how to find a job, interview, interview tips. Bookmark the permalink.